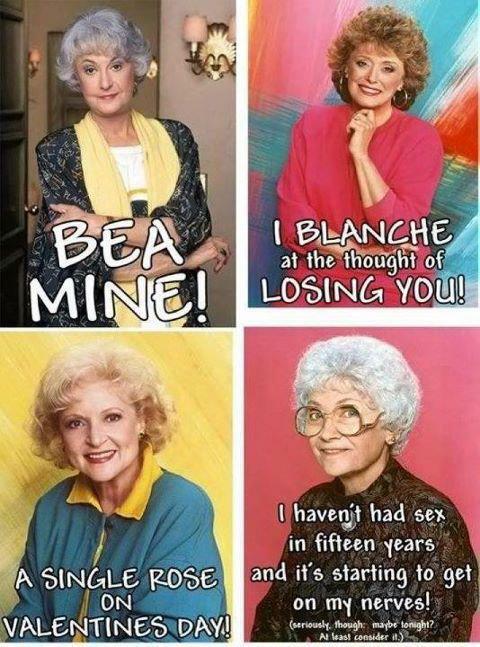 There are few things I love as much as I love The Golden Girls, which is why I love these Valentines! I can’t take credit for whipping them up (you know I would if I could), but I’m happy to post them here for the third year in a row for you to Snip and Send (or, well, hand deliver — today is the 14th.). Yeah, it’s a Hallmark holiday, but what the hell? I figure any excuse to celebrate love — be it for your partner, your smoldering secret crush, or priceless television comedy — is something you might as well seize. Best show of all time.